MUMBAI – MAHARASHTRA – INDIA MAY 15, 2016 08.00 P.M.
On April 18, 2016, Lalita Pawar would have been 100 years old, had she been alive. There were not much coverage in the media. I read just one article in DNA. That’s it. Present day media Mughals don’t know her importance. In a career spanning 68 years, she did 700 plus films. She was the only one in Indian film industry, who could play a scheming mother-in-law and a golden-hearted matriarch with equal finesse. She was always portrayed prominently in the posters of her films, though she was not playing the lead. Apart from Lalita Pawar, Ashok Kumar was the only other character artiste, who used to appear prominently in the poster of his films. Apart from her, there were only 3 other Hindi film actors, who worked more than 6 decades. 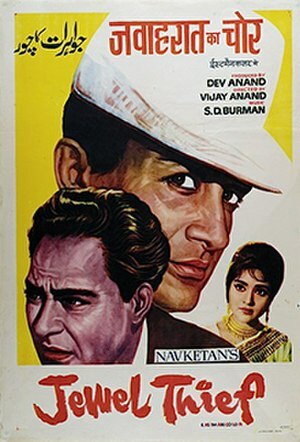 They, apart from Lalita Pawar, are Dev Anand, Pran and evergreen Ashok Kumar. Only these 4 Hindi Film Artists worked till the last breath of their lives. ASHOK KUMAR : 61 Working Years – 301 films . Among all the 4 history making stars, Lalita Pawar was the senior most. 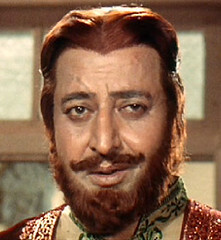 Pran was junior to her by 12 years. And the indomitable Dev Anand was her junior by 18 years. Even grand old man of Hindi cinema, the evergreen Ashok Kumar, was her junior by 8 years. Coincidently their last films came in the same year, 1997. Lalita Pawar’s ” Bhai ” [ 1997 ] & Ashok Kumar’s ” Aankhon Me Tum Ho ” [ 1997 ] were their last film. Two immortal legends ended their glorious film journey in the same year. My first association with her started somewhere in mid 60s. 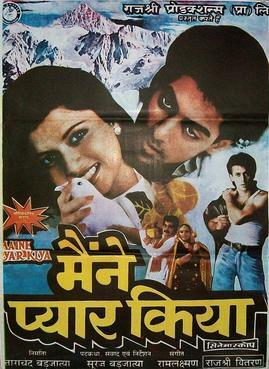 I don’t remember the film correctly, but either it was ” Sampoorna Ramayan ” or ” Jis Desh Me Ganga Bahti Hai “. Later on I saw several films of her and became an ardent admirer. I am giving list of some of her unforgettable films, which I have seen and fail to forget even today. Ram Shastri [ 1944 ] , Dahej [ 1950 ] , Daag [ 1952 ] , Parchhain [ 1952 ] , Shri 420 [ 1955 ] , Mr & Mrs 55 [ 1955 ] , Nau Do Gyarah [ 1957 ] , Anari [ 1959 ] , Sujata [ 1959 ] , Hum Dono [ 1961 ] , Sampoorna Ramayana [ 1961 ] , Professor [ 1962 ] , Sehra [ 1963 ] , Grahasti [ 1963 ] , Ghar Basake Dekho [ 1963 ] , Khandan [ 1966 ] , Boond Jo Ban Gayee Moti [ 1967 ] , Aabroo [ 1968 ] , Anand [ 1970 ] , Pushpanjali [ 1970 ] , Gopi [ 1970 ] , Doosri Sita [ 1974 ] , Tapasya [ 1976 ] , Aaina [ 1977 ] , Yaarana [ 1080 ] , Kali Ghata [ 1980 ] , Phir Wohi Raat [ 1980 ] , Sau Din Saas Ke [ 1980 ] , Naseeb [ 1981 ] , Bhai [ 1997 ] . It is pertinent to note that apart from Ram Shastri [ 1944 ] , where she played heroine, she played character roles in all above mentioned films. But no film connoisseur can ever forget her. Who can forget GANGAMAI of Shri 420 [ 1955 ] or Mrs. D’Sa of Anari [ 1959 ] , both with Raj Kapoor? 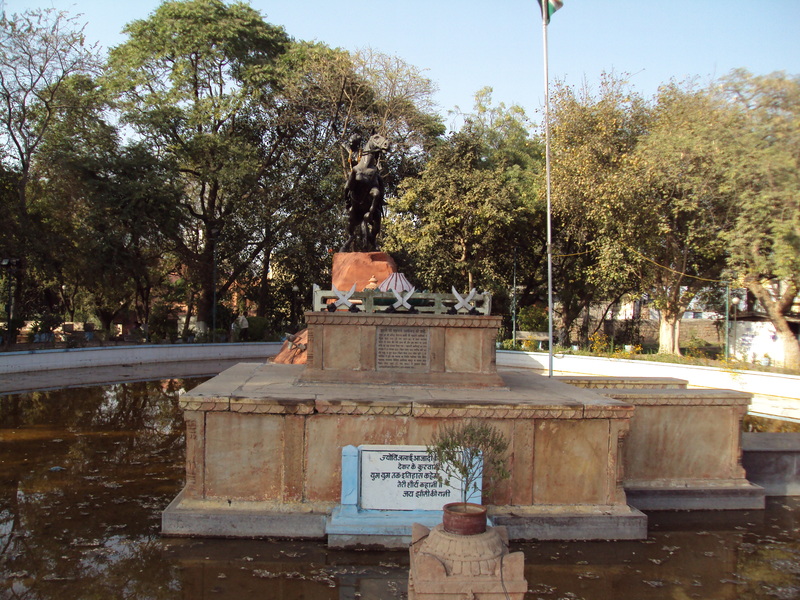 Amba Laxman Rao Shagun from Yeola, Nashik made her debut in 1929 with ” Raja Harishchandra “. At the age of 16, she co-produced and acted in a silent film ” Kailash ” [ 1932 ]. She played a triple role in that film. A triple role in a silent film !! 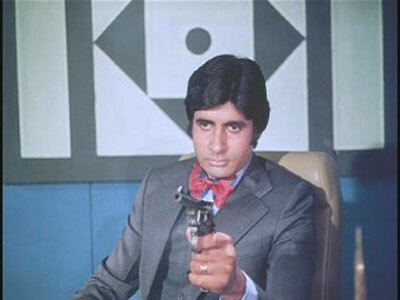 It was 44 years before DILIP KUMAR’s ” Bairaag ” [ 1976 ] & 51 years before AMITABH BACHCHAN’s ” Mahaan ” [ 1983 ]. Both these legends played triple role much later in their respective careers and when they were very mature. DILIP KUMAR made debut in 1944 and played triple role in 1976. That is 32 years after his debut. 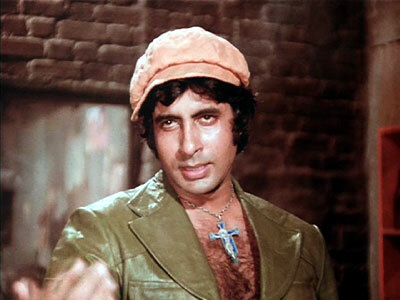 AMITABH BACHCHAN made debut in 1969 and played triple role in 1983. That is 19 years after his debut. But LALITA PAWAR played triple role in the beginning of her career. 3 years after her debut and that too in a silent film. 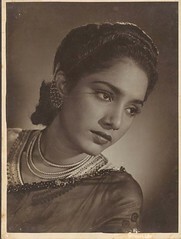 1942 was an epoch-making year in Lalita Pawar’s career. As a part of the scene in a film ” Jung-E-Azadi ” , Bhagwan Dada of ” Albela ” fame was to slap her. Being a new-comer, he accidentally slapped her hard. It resulted in facial paralysis and a vein of her left eye got burst. This incident left her with a defective left eye. But the treatment took 3 years. She lost many lead roles and after her treatment was over, she switched to character roles. The defective left eye, which ended her acting career in lead roles, helped her play cruel, wicked and cussed characters with aplomb. 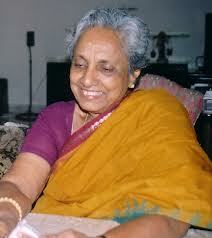 Lalita Pawar has left us. She no longer exist. But she is still present in the form of her films where she played several unforgettable characters. 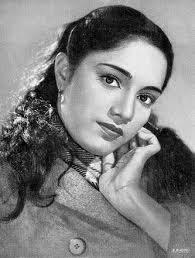 I offer my tribute and regards to the unforgettable doyenne of Hindi cinema. 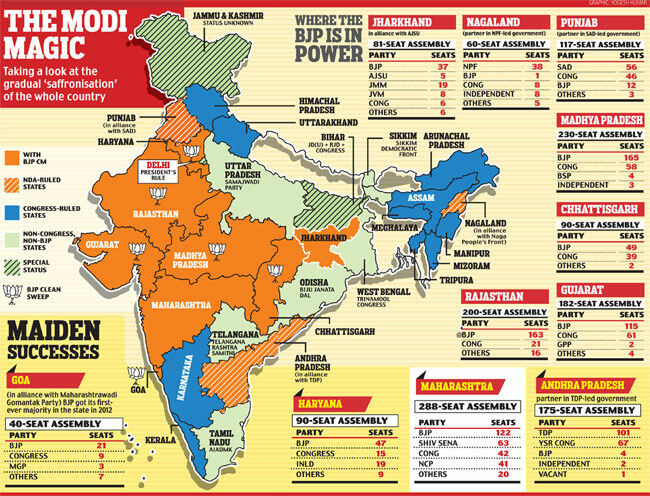 MUMBAI – MAHARASHTRA – INDIA MARCH 28 , 2014 11.55 P.M.
Election times are always strange times in India . One can witness many unusual happenings , many bizarre scenario . One such thing is clamour for young blood in politics . There is nothing wrong in the demand per se . In fact young blood is always welcome and it should be more than welcome in the arena of politics . But what would you say when a 76-year-old Mr. Jaswant Singh is replaced by a young ( ? ) 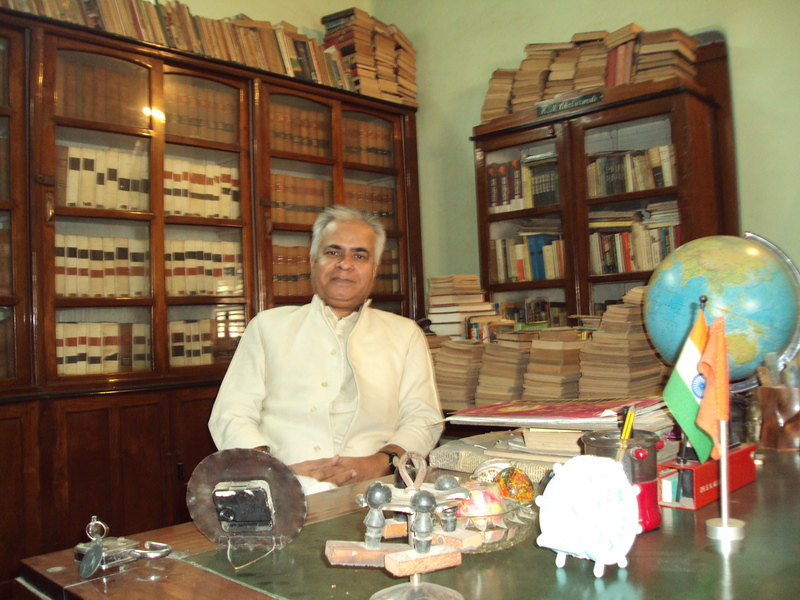 candidate Col. Sonaram Choudhary in Rajasthan , who is 71-year-old ? He is a Congress turncoat , and Shri Jaswant Singh is a loyal party worker and old party war – horse , but it becomes insignificant in the young party of new India . 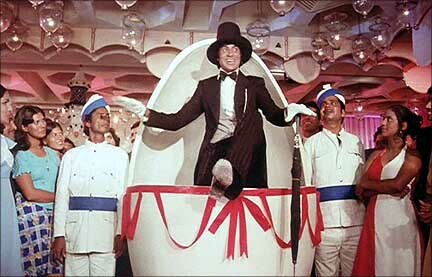 What would you say when there is a cacophonous clamour for the retirement of Shri Lal Krishna Advani from public life ? Several crooks are ruling the roost and Shri Advani has unblemished record of service in public life . His only fault is his age . Unfortunately he is 86 . 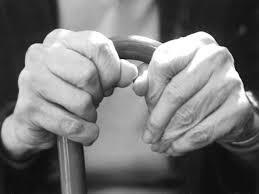 Is old age sin in our country ? Is it a crime to get old or be old in new India ? Not always . Former Communist Chief Minister of Kerala , Shri V. S. Achuthanandan [ Velikkakathu Sankaran Achuthanandan ] , the grand old patriarch of CPM is 90 and is still active . M. Karunanidhi [ Muthuvel Karunanidhi ] , the DMK patriarch , also known as Kalaignar , is 89 . Both , far from saying good-bye to public life , are on election trail . Both are going through rigorous and tortuous daily routine during election time in this hot , unbearable Indian summer . They are yet to bid adieu . Take the case of world leaders . Oldest ruling monarch is 85-year-old King Bhumibol Adulyadej , the King of Thailand . This year he completes 67 years as the King of Thailand . Queen Elizabeth II of United Kingdom is 87 years old and she is firmly in the saddle . She ascended the throne in 1952 . This year she completes 62 years as the reigning queen . Far from retiring , these two monarchs are still calling the shots and are much respected and revered in their respective countries . Let us take few examples from the world of cinema . 1 ) – At 82 , Clint Eastwood is still very much involved in the movie making business. In 2012 he plays an aging baseball scout in “Trouble With The Curve ” [ 2012 ] . Clint Eastwood also keeps his plate full directing movies . His most recent films are ; ” Invictus ” [ 2009 ] , ” Hereafter ” [ 2010 ] , ” J. Edgar ” [ 2011 ] and ” Jeresy Boys ” [ 2014 ] . Thus from 1955 to 2014 , its 59 year-long and uninterrupted career . 2 ) – At 90 , Christopher Lee is still acting in Peter Jackson’s ” The Hobbit “ movies . 3 ) – At 96 , Kirk Douglas , the star who starred in ” Spartacus ” [ 1960 ] , worked last in ” Empire State Building Murders ” [ 2008 ] . 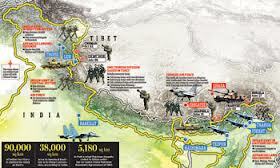 From 1946 to 2008 , it is 62 year-long career . 4 ) – At 96 , Olivia de Havilland , who enthralled audiences world over in the classic ” Gone With The Wind ” [ 1939 ] , is still working . Her last film ” I Remember Better When I Paint ” [ 2009 ] . It is incredibly 74 year-long career which started in 1935 . 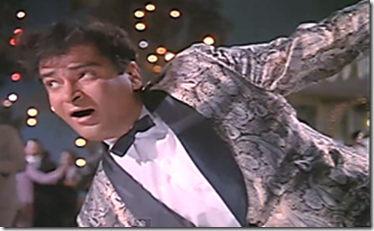 1 ) – The ever – green Ashok Kumar’s career spanned for 61 long years . Right from ” Jeevan Naiya ” [ 1936 ] to ” Aankhon Me Tum Ho ” [ 1997 ] , Dada Muni , as he was fondly called , was working till he was 86 . 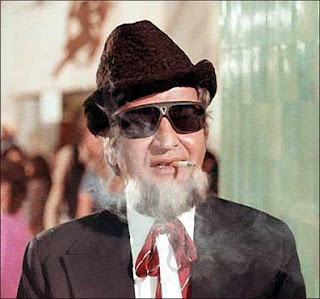 2 ) – Pran is another gem in the crown . He was active till the age of 83 . 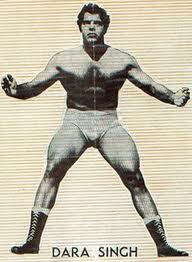 From ” Yamla Jat ” [ 1940 ] to ” Kiska Dosh ” [ 2003 ] , it was 63 year-long career . 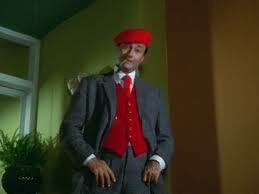 3 ) – Dev Anand , another indefatigable legend , worked for 65 years . From ” Hum Ek Hain ” [ 1946 ] to ” Charge Sheet ” [ 2011 ] , it was an awe – inspiring 65 year-long journey of perennial glory and ever – lasting super – stardom . He was 88 when he died . He released his last film ” Charge Sheet ” same year , which was written, produced and directed by him . He also starred in it as the main protagonist . It is unbeatable record in the world of cinema in India . There are such people in the world of literature also . 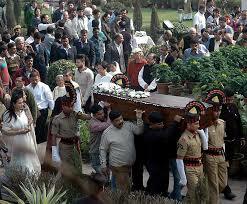 1 ) – Khushwant Singh , the age – defying author ; novelist , historian and journalist , died at the age of 99 . He wrote till he was 97 years old . ” The Mark Of Vishnu and Other Stories ” [ 1950 ] to “Agnostic Khushwant : There Is No God ” [ 2012 ] , he enjoyed 62 unquestioned active years as an author of repute . 2 ) – Maya Angelou , the American writer , poetess and civil rights activist , is writing since 45 years . She is 85 now . Yet to retire , she is widely respected and revered in the U.S.A. So why this clamour for the retirement of Shri Lal Krishna Advani or denial of ticket to Shri Jaswant Singh ? I feel it is not related to age . This is power – struggle . New satraps want to remove old guards unceremoniously and they are taking positions behind the age factor . A person should be respected for his / her age and should not be despised . Age is a boon . When I read comments related to age I am peeved . A person serves his organization from the young age . He gives his life in the service of his party and organization . And suddenly one day a new ascending leader appears on the scene and simply orders the banishment of the old guard . Though the old person in question is not infirm or incapacitated . No one is questioning why Shri Atal Bihari Vajpayee is not given a ticket . Everyone knows that he is bed – ridden and can’t even speak or recognize people . But Shri Lal Krishna Advani is still active and mentally alert . No one can stop new leaders or younger people from ascending the firmament . But it does not mean curtain for older leaders , who are still fit and can still serve the country. I feel sad , when I see that contribution of Shri Lal Krishna Advani is being overlooked . Malicious , derogatory and abusive comments are continuously being posted on the various social networking sites , so that he should get dejected and retire . Suggestions are being dished out by so-called party – sympathisers that old people should accept the new order and should not crib or demand any special privilege . It was recently said by the alleged member of the alleged ” Club 160 “ said that old guard should learn to accept ” no ” to their demands and they should accept the dictate of younger dispensation with graceful silence . 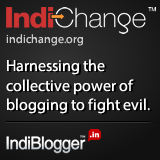 It was said that they should learn to get adjusted to the new , changed ways of the young party of the new India . It could be argued that it is true to some extent . But the tone and tenor of this statement was contemptuous , smug and full of hubris . It was disrespectful . Then what is the solution . In my opinion there should be a fine balance between old and new generation . For every young Arjun , there has to be a sagacious Bhishma Pitamah and an experienced Dronacharya . For every imperious and bellicose Duryodhana , there has to be a sagely Vidur and a stoic Kripacharya . If this fine balance in the time of yore could not save us from a devastating Mahabharata , what will happen , if today we will have only inexperienced Arjuna and imperious , bellicose and belligerent Duryodhana in our mist ? Think India , think ! And be afraid . Be very afraid ! 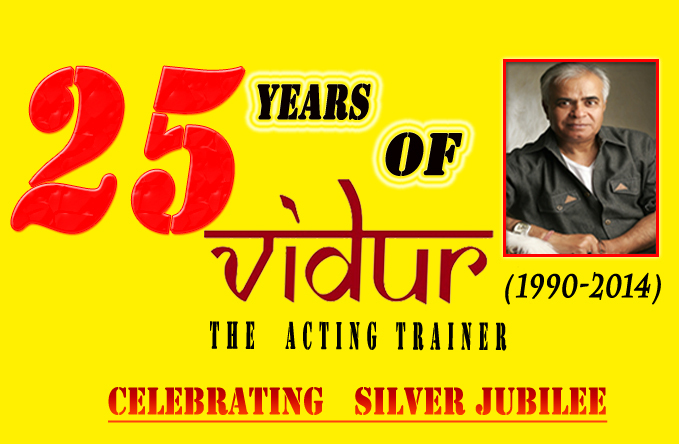 On behalf of all the students and staff of VIDUR Acting Institute , I urge for the respect of elders and pray for the betterment and well – being of my country . VIDUR Editing Studio , VIDUR Club and VIDUR Theatre also pray for our beloved India and out age – old ethos . MUMBAI – MAHARASHTRA – INDIA FEBRUARY 18, 2014 09.20 P.M. The year was 1967 or 1968. The city was Allahabad in Uttar Pradesh. And the cinema hall , if my memory is not failing me , was Ajanta Talkies at Zero Road. I , along with few of my friends, went to watch a Dilip Kumar starrer black & white film ” Devdas ” [ 1955 ] . I had read Sharat Chandra written immensely popular novel of the same name during my adolescent age in Deoria. I read it so many times and I was so infatuated, fascinated by the character of Devdas that even after so many decades , I vividly remember each and every thing about the novel and all the details of all the characters. 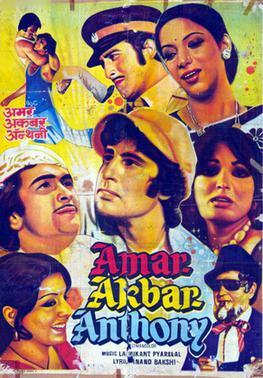 In 1967 – 1968, when I went to watch the film, I could even recite the dialogues and paragraphs from the novel. I had heard about myriads film avatars of Devdas, which were made in several Indian languages. 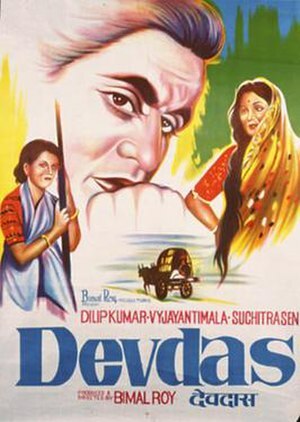 Naturally Dilip Kumar starrer and Bimal Roy directed ” Devdas ” [ 1955 ] in Hindi was on the top of my list. It had Dilip Kumar portraying the male protagonist to the perfection. I had read various articles about his portrayal of the character. I also knew that Paro is being played by a Bengali actress called Suchitra Sen . I was smitten by her eyes. I was hooked to her beauty. I was enamoured by her personality. I was hypnotized by her voice. I was captivated for life by her screen persona. 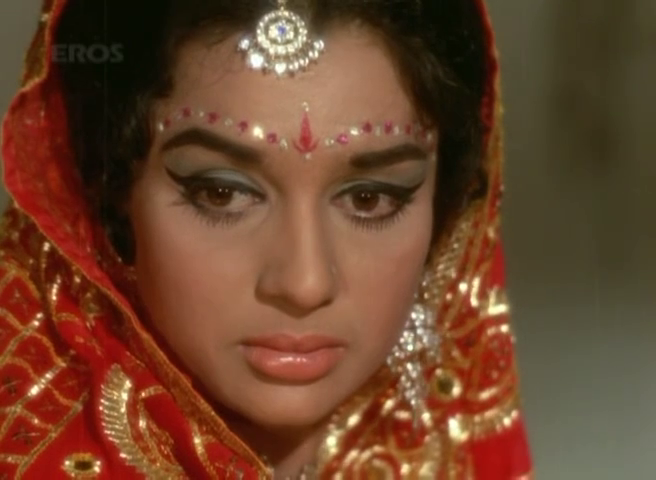 Apart from Waheeda Rehman, I have never admired any other actress so much. Later on I watched Dev Anand and Suchitra Sen starrer ” Bombai Ka Baboo ” [ 1960 ] . Though an ordinary film but the climax of the film refused to fade away from my psyche for days and months. After so many decades , even today, it refuses to get obfuscated. Ah, her serene elegant persona, her haunting tear-filled eyes and the back-ground song in the voice of legendary Mukesh, ” Chal Ri Sajni Ab Kya Soche ; Kajra Na Beh Jayen Rote Rote ………. “ shook me permanently and became an eternal part of my being. Every drop of tear on her cheek is still fresh in my memory. 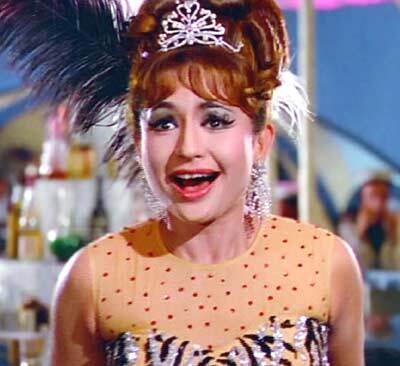 After above mentioned two films , I watched ” Mamta ” [ 1966 ] .1966 – 67 is the important year of my life. I passed high school. I left Deoria and went to Allahabad for higher studies. Slowly I started coming out of my cocoon. I started watching films regularly and started appreciating them also. I started spending hours and hours with my friends discussing films. 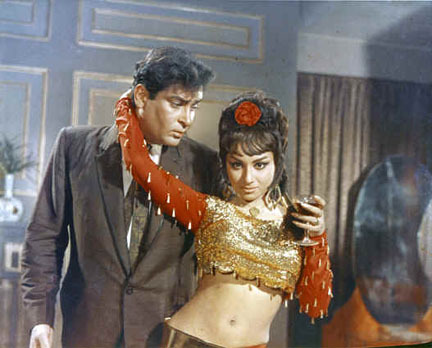 And one day , I watched ” Mamta ” [ 1966 ] . 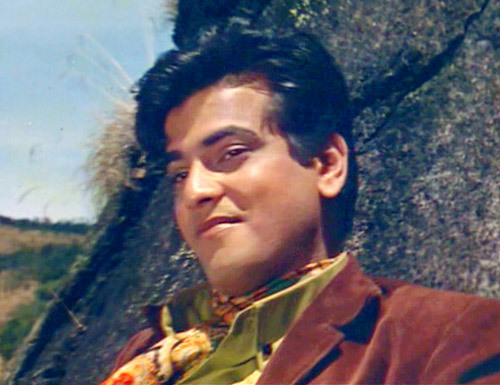 I was a fan of Ashok Kumar. 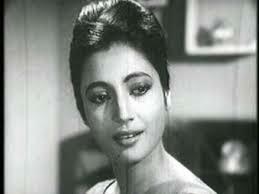 I was a fan of Suchitra Sen . And she was essaying a double role of mother and daughter in this film. She played it with perfection. It was one year before Dilip Kumar’s highly successful and much acclaimed double role in the film ” Ram Aur Shyam ” [ 1967 ] . 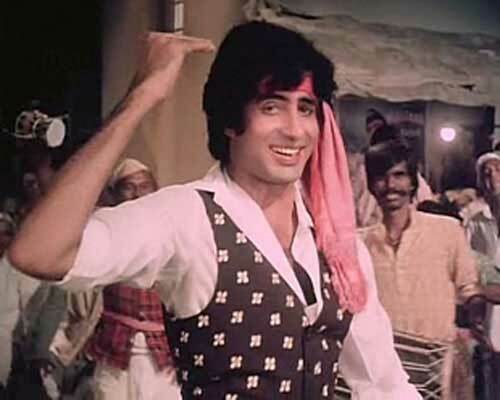 Needless to say that much later I watched ” Aandhi ” [ 1975 ] also . It is her last Hindi film. She was marvellous as usual. 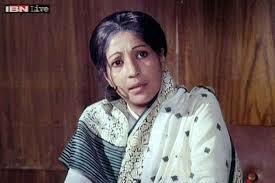 3 years after the much acclaimed film ” Aandhi ” [ 1975 ] , she retired in 1978 and slowly faded from public life. From ” Sharey Chuattor ” [ 1953 ] to ” Pronoy Pasha ” [ 1978 ] , she worked in 60 films in a career spanning 25 years. Out of her total 60 films , her Hindi films are only 7. These films are : ” Devdas ” [ 1955 ] , ” Musafir ” [ 1957 ] , ” Champakali ” [ 1957 ] , ” Bombai Ka Baboo ” [ 1960 ] , ” Sarhad ” [ 1960 ] , ” Mamta ” [ 1966 ] and ” Aandhi ” [ 1975 ] . Of all the 7 Hindi films of her, I have watched 4 films. Her important and memorable Bengali films are : ” Sharey Chuattor ” [ 1953 ] , ” Sabar Uparey ” [ 1955 ] , ” Mejo Bou ” [ 1955 ] , ” Shilpi ” [ 1956 ] , ” Harano Sur ” [ 1957 ] , ” Pathe Holo Deri ” [ 1957 ] , ” Deep Jwele Jaai ” [ 1959 ] , ” Smriti Tuku Thaak ” [ 1960 ] , ” Saptapadi ” [ 1961 ] , ” Saat Paake Badha ” [ 1963 ] , ” Uttar Phalguni ” [ 1963 ] , ” Grihadaha ” [ 1967 ] , ” Alo Amaar Alo ” [ 1972 ] , ” Haar Maana Haar ” [ 1972 ] , ” Devi Chaudhurani ” [ 1974 ] , ” Datta ” [ 1976 ] and ” Pronoy Pasha ” [ 1978 ]. I have seen many of these films. 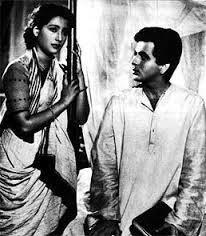 I will specially mention Uttam Kumar and Suchitra Sen starrer ” Saptapadi ” [ 1961 ] . 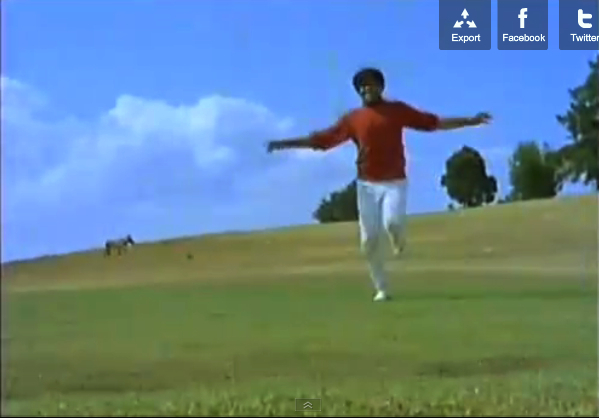 One number of this film is considered all time great romantic song ever in Bengali films. 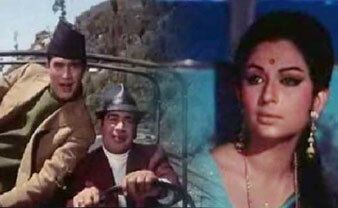 It is ” Ei poth jodi na shesh hoi …………….. Uttam Kumar on the bike and Suchitra Sen as pillion rider singing the immortal ” ………………. Ei poth jodi na shesh hoi ………………. ” . Years later when I came to Bombay [ now Mumbai ] and became acting trainer, one day I got a call from Riya Sen. She wanted to get trained by me. I was ecstatic that I would be training legendary Suchitra Sen’s grand-daughter. I immediately went to her Juhu residence. I worked with her for few months. I met her sister Raima and mother Moon Moon Sen also. 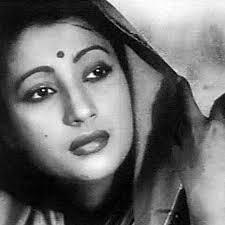 But I could not get a chance to meet legendary Suchitra Sen. Though I wanted to meet her desperately. But it was not destined. She became recluse by each passing year. She came out of her house when Uttam Kumar died on July 24, 1980. After that day no one had seen her ever. It was 34 year-long reclusive life. It was 34 year-long self – imposed exile. But instead of fading from memory, it made her personality more enigmatic. Even after 34 years the aura remained undiminished. She went away from public gaze but never faded from public memory. I used to ask Riya many questions about her grandmother. 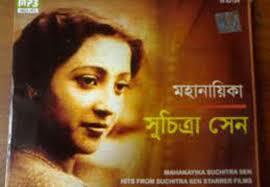 I wanted to know more and more mortal details about immortal Suchitra Sen. Riya was nonchalant. Initially her nonchalance baffled me, disappointed me. 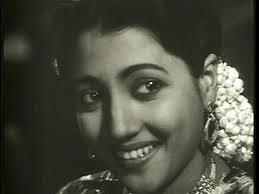 It never occurred to me that for me Suchitra Sen is an idol , an icon but for Riya , she is her grandmother. So her answers never matched my enthusiasm. I think she must have felt awkward by my intrusion. Alas ! 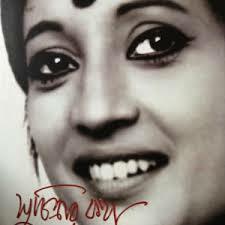 as is the inevitable for every human being, Suchitra Sen left this world for her celestial journey on January 17, 2014 . 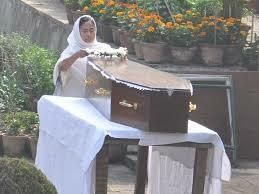 She died in Kolkata aged 82. I was saddened beyond words. I am still numb. I was unable to write about her immediately, though I wanted to write desperately. 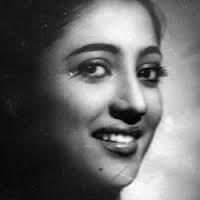 Suchitra Sen is gone and with her departure my world of adolescent years has gone forever. It has crumbled. This void is not going to be filled easily. 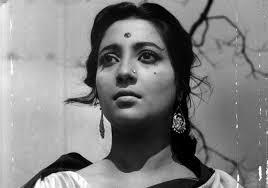 A world without Suchitra Sen is not the world for me. But ….. nothing could be done. Life will meander to complete its course. Life will slither with saddened soul. 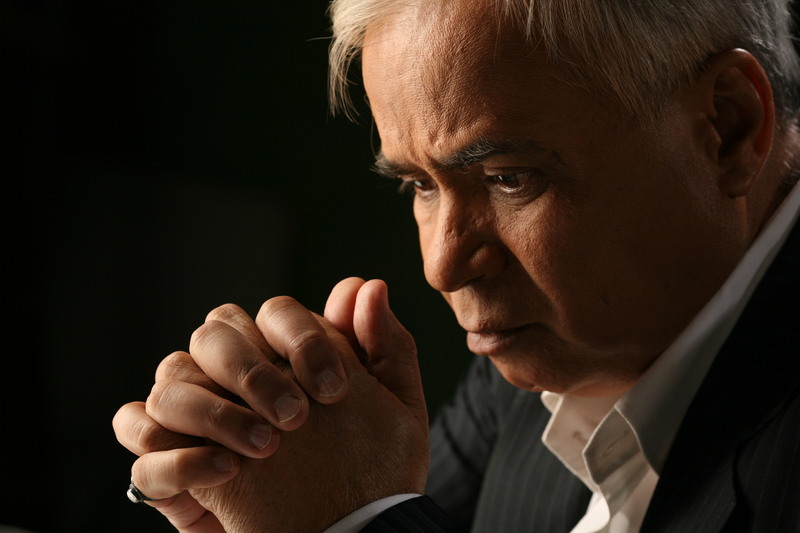 On behalf of all the students and staff of VIDUR Acting Institute , I express my profound sorrow and grief. Life goes on and it will go on. But without Suchitra Sen, it will not be same again. VIDUR Editing Studio , VIDUR Club and VIDUR Theatre would also like to offer condolences and express solidarity with Moon Moon Sen, Raima Sen and Riya Sen in this hour of grief. As they say, they won’t make people like Suchitra Sen any more. 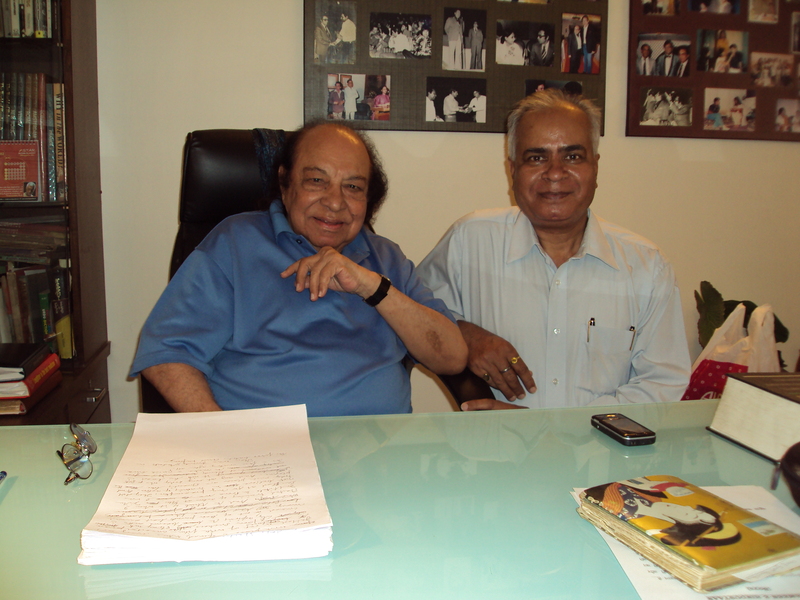 MUMBAI – MAHARASHTRA – INDIA MAY 09 , 2013 06.45 P.M.
On Monday morning I was shocked to read the news of death of Dulari , a veteran yesteryear Hindi film actor . It is so heart-wrenching that she died in January 2013 and the news came in May 2013 , in Monday’s Times of India . If a popular actor dies and the news comes out a full four months later , it shows the callousness of our film industry . How come no one tried to contact her ? How come no one ever called her to say hi ? How come no one inquired about her health and well-being ? I must admit , our film industry is full of cussed , cruel and selfish people . Today as I am writing this blog , I suddenly remember these lines , which was filmed on her in ” Devdas ” , a Bimal Roy classic . अब घर का आँगन बिदेस लागे रे , नैहर का जीवन कलेस लागे रे …..
She left this ephemeral , painful world for her eternal journey . She joined her lover , the God , and became one with him . 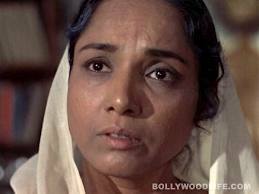 Hindi cinema had many famous and powerful mother figures . Durga Khote , Lalita Pawar , Leela Chitnis , Kamini Kaushal , Achala Sachdev and Sulochna are some of the most famous mothers of Hindi cinema . In recent history Nirupa Roy became an ultimate mother figure . Dulari, though not as famous as her other illustrious peers , was also a popular mother figure of Hindi films . She started as a heroine in a couple of films . Immortal hits like ” Aana Meri Jaan Meri Jaan , Sunday Ke Sunday ” and ” Jawaani Ki Rail Chali Jaaye Re “ , both from ” Shehnai ” [ 1947 ] were filmed on her . I first noticed her in Bimal Roy’s ” Devdas “ [ 1955 ] . 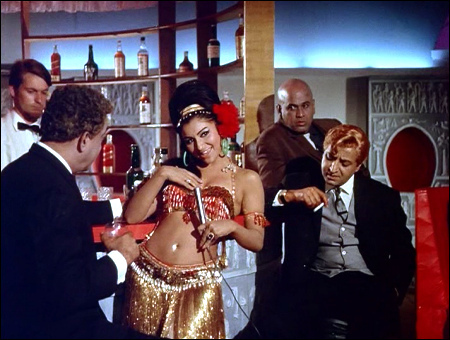 Two songs , written by Sahir Ludhianvi and tuned by Sachin Dev Burman , were filmed on her . 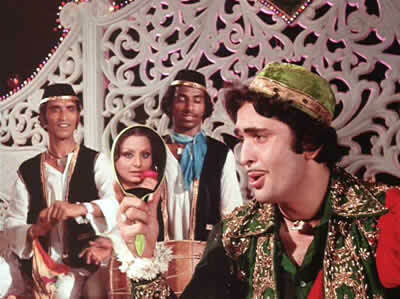 ” Aan Milo Aan Milo Shyam Sanware ” and ” Sajan Ki Ho Gayi Gori “ are connoisseurs delight even today . She played a Vaishnavi Saint with Nana Palsikar as her screen companion . A young Paro , played by Baby Naaz , was sitting on a branch of a mango tree and was remembering Devdas , while Nana Palsikar sang the song and danced . Dulari was just sitting calmly and singing the female version sung by Geeta Dutt . Her calm and serene face remained in my memory . In the same film , years later , when Paro grew older [ played by etherial Suchitra Sen ] , she was again sitting and remembering Devdas . Again same Vaishnav saints came and started singing . Now the song was ” Sajan Ki Ho Gayi Gori ” . I am unable to forget these scenes , these two songs , melancholic face of Paro , played by Baby Naaz and Suchitra Sen respectively and of course Nana Palsikar and Dulari . 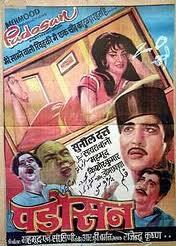 Then , years later I watched ” Padosan ” [ 1968 ] and ” Gopi ” [ 1973 ] . In both the films she played the maternal aunt of lead actors ; Sunil Dutt and Dilip Kumar . Memory of her earlier starrers ” Shehnai ” [ 1947 ] , and ” Devdas ” [ 1955 ] once again became fresh in my mind . It is not that I have seen only above mentioned 4 films . I have seen innumerable films of her . But these 4 remain in my memory . A Kanyakubj Brahman from the Awadh region of Uttar Pradesh , she was born and brought up in Maharashtra . She spent her childhood in Nagpur , where she was born on 18th April 1928. Her name was Ambika but she was nick-named Rajdulari and later on only Dulari remained and the world knew her as Dulari . Dulari ji’s first film was ‘Bombay Talkies’s’ famous movie ” Jhoola ” [ 1941 ] with Ashok Kumar . Later on she played Jairaj’s younger sister in a Bombay Talkies film ‘Hamari Baat’ . She was also seen as the second lead in ‘Amar Pictures’ film ‘Adaab Arz’ where her leading man was the famous singer Mukesh . Both the films were made in 1944 . Later on she played small roles in films like ” Ghar ” [ 1945 ] , ” Kulkalank ” [ 1945 ] , ‘Ahinsa’, ‘Black Market’, ‘Namak’, ‘Pati Sewa’, ‘Rangeen Kahani’ [ all 1947 ] . 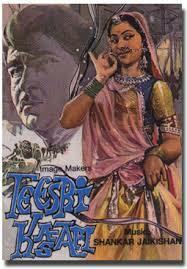 But Dulari got her real due with ‘Filmistan’s super hit film ” Shehnai ” [ 1947 ] . She played Rehana’s elder sister in the movie and her leading man was Mehmood’s father Mumtaz Ali . 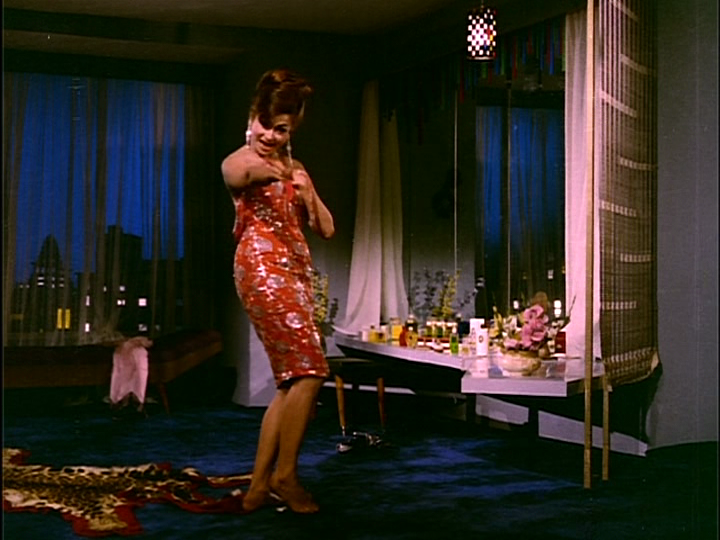 As I mentioned earlier two immortal songs were picturized on her in this film . ” Aana Meri Jaan Meri Jaan , Sunday Ke Sunday ” and ” Jawaani Ki Rail Chali Jaaye Re “ . After ” Shehnai “ she did films like ” Gunsundari ” , ” Mitti Ke Khilone ” , ” Naav’ ” [ all 1948 ] , ” Nanad Bhaujai ” , ” Shayar ” [ both 1949 ] , ” Apni Chhaya ” , ” Man Ka Meet ” [ both 1950 ] , ” Albela ” [ 1951 ], ” Anjaam ” , ” Bhoole Bhatke ” and ” Veer Arjun ” [ all 1952 ] . 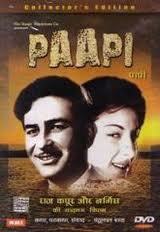 Dulari was seen in an important role in the movie ” Paapi ” [ 1953 ] . 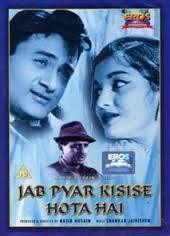 In this Ranjeet Movietone film Raj Kapoor played his career’s only double role. 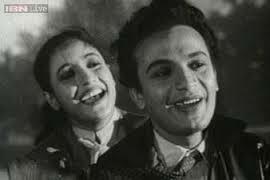 Nargis and Dulari played his two heroines . After it she worked in ” Jeewan Jyoti ” [ 1953 ] , ” Devdas ” [ 1955 ] , ” Zindagi Ke Mele ” [ 1956 ] , ” Ek Gaon Ki Kahani ” , ” Johny Walker ” , ” Paying Guest ” [ all 1957 ] , ” Kavi Kalidas ” and ” Santaan ” [ 1959 ] . After 1959 , after two years hiatus , she started her second innings from 1961 and for the next 35 years, Dulari played many big and small roles in almost 135 films like ‘Jab Pyar Kisi Se Hota Hai’, ‘Mujhe Jeene Do’, ‘Apne Hue Paraye’, ‘Aap Aaye bahaar Aai’, ‘Aaye Din Bahaar Ke’, Anupama’, ‘Teesri Kasam’, ‘Padosan’, ‘Aradhna’, ‘Aaya Sawan Jhoom Ke’, ‘Chiraagh’, ‘Inteqaam’, ‘Aan Milo Sajna’, ‘Heer Ranjha’, ‘Johny Mera Naam’, ‘Caravan’, ‘Laal Patthar’, ‘Beimaan’, ‘Seeta Aur Geeta’, ‘Raja Rani’, ‘Ameer Gareeb’, ‘Haath Ki Safai’, ‘Deewar’, ‘Do Jasoos’, ‘Aahuti’, ‘Ganga Ki Saugandh’, ‘Biwi O Biwi’, ‘Naseeb’, ‘Prem Rog’, ‘Agar Tum Na Hote and ‘Dharmadhikari’. And then one day she quietly retired from the world of movies. Later on she did only two films . ” Surya ” [ 1989 ] and ” Ziddi ” [ 1997 ] . 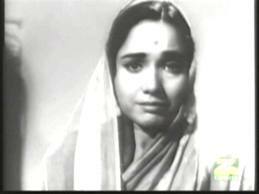 Ziddi directed by Guddu Dhanoa is her last film . Thus from ” Jhoola ” [ 1941 ] to ” Ziddi ” [ 1997 ] , her career span was 56 years . After a career spanning 56 years and after 171 hindi, 35 Gujarati, 3 Marathi and 1 Rajasthani film , she left Mumbai and went to live with her daughter in Indore . She also acted in a ‘Shri Adhikari Brothers’ serial called ‘Waqt Ki Raftaar’ . During her final years Dulari ji was suffering from Alzheimer and was admitted to ICU in a hospital in PUNE in the last week of December ’12 where at the age of 85 she breathed her last on 18th January 2013 around 10 a.m. She was cremated on 19th January 2013 in the noon in Pune. 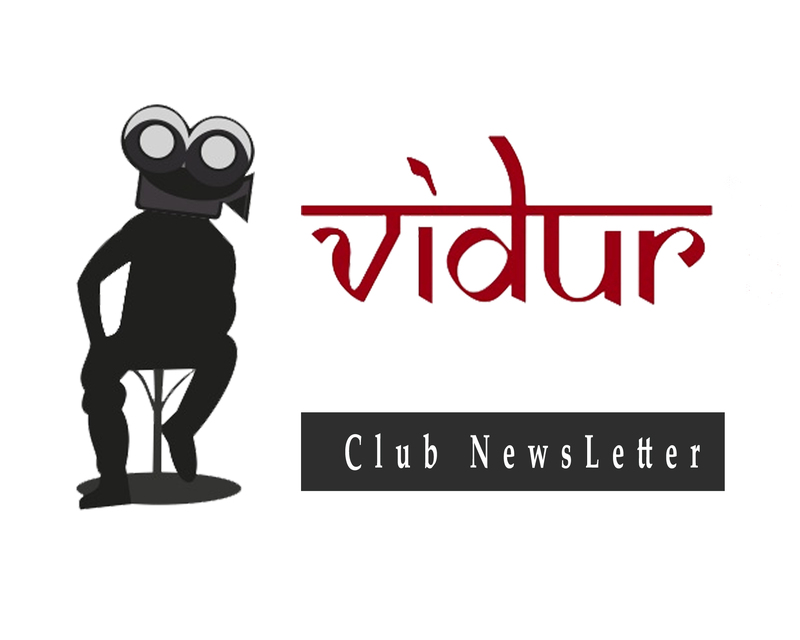 I offer my condolences on behalf myself and on behalf of all the students and staff of VIDUR Acting Institute , which is known as Vidur’s Kreating Charakters . May God give eternal peace to Dulari Ji and strength to her daughter and other near and dear ones to bear this loss . I can visualize a frail , 85-year-old , lonely lady suffering from Alzheimer , sitting without a friend or companion in an old age home with blank eyes and waiting for some elusive loving one . Long windy nights of winter , dull and dusty days of summer and wet , pouring and dreary evenings of rainy season must have come and gone without any trace of succour . It is painful , very painful . Finally , only death could relieve her from her pain . 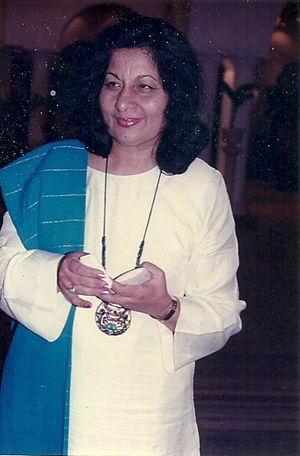 Rest in peace Dulari ji ! A tearful farewell from an ardent fan . I am happy that you left this cruel , selfish , cussed world . May , in next life , you get everything that you have ever desired for you .